This is one of those topics that thrills me to talk about. Every time I think about Sage Abbey, it’s as if I discover another piece of an ancient puzzle, a deeper personal meaning of this magical place. It’s as if around every corner lies another hidden treasure, another story to tell. So welcome to Sage Abbey, breathe in … exhale … and stay a while. Let’s start from the beginning, by exploring sage, the plant. Most commonly used as a culinary herb, sage is an evergreen shrubby botanical with silvery green leaves and small purplish blue flowers. In one of their articles, the U.S. National Institutes of Health (NIH) discussed modern advancements in the exploration of sage and its numerous medicinal properties, including boosting cognitive function, managing weight and blood sugar levels, supporting digestion, and many others. Rich in vitamin A and calcium, sage essential oil is full of antioxidants that promote radiant, healthy skin. Because of its potency, proper use of this plant and its extracts requires trained knowledge. There are 700 known species of sage in the world today, but the most renowned is Dalmatian sage, or Salvia officinalis. 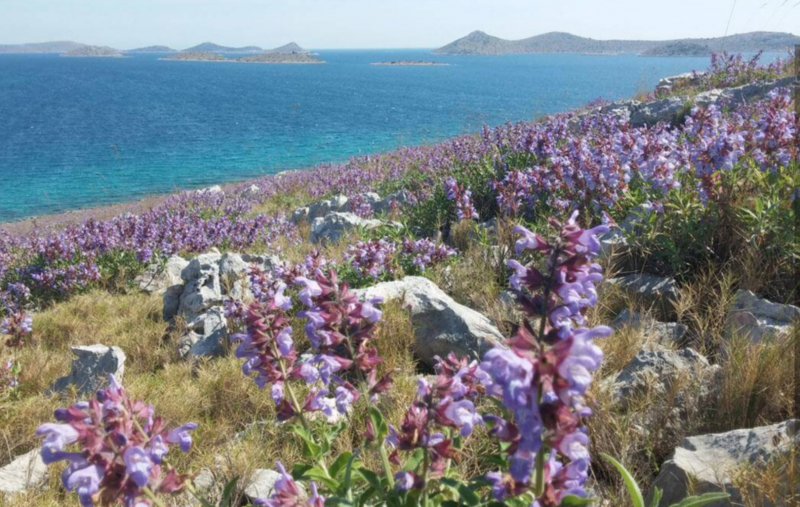 This silvery green treasure is native to the Mediterranean region, especially coastal Dalmatia region of Croatia, where the climate, Dalmatian karst (limestone cliffs) and the specific soil provide the perfect blend for its wild growth. Next time you see sage, rub one of its soft, velvety leaves to experience a divine aroma that is citrusy, minty, woodsy, calming, yet uplifting, all at the same time. The word sage has another, deeper meaning. Stemming from Latin “salvare” meaning to save, heal, be safe; and “sapere”, meaning to be wise, describing a profoundly wise person often featured in an ancient history or legend. 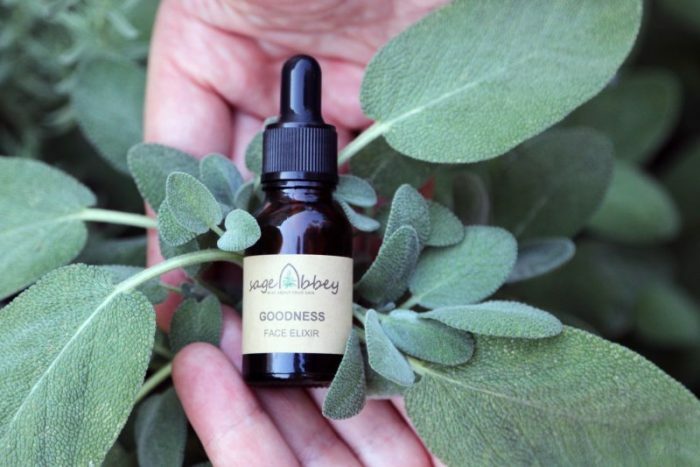 At Sage Abbey, the healing powers of botanicals and forgotten teachings of ancient sages come together as we share them with you in stories, photographs, and through wholesome botanical creations. Thank you for visiting and do come back, as I will soon share Part 2 of “what’s in a name?”, the story of the Abbey.